Unauthorized statements have been made to the effect that the purpose in view is to create a wholly Jewish Palestine. . . .
His Majesty’s Government regard any such expectation as impracticable and have no such aim in view. Nor have they at any time contemplated . 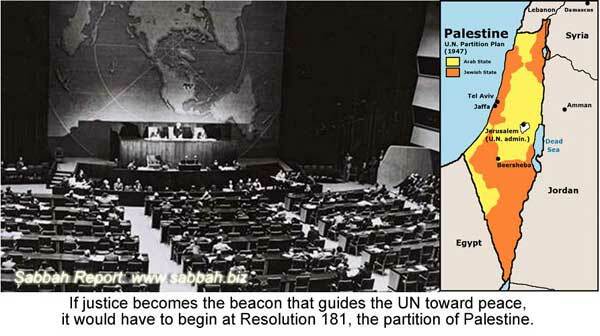 . . the disappearance or the subordination of the Arabic population, language or culture in Palestine. They would draw attention to the fact that the terms of the (Balfour) Declaration referred to, do not contemplate that Palestine as a whole should be converted into a Jewish National Home, but that such a Home should be founded IN PALESTINE. . . . His Majesty’s Government therefore now declare unequivocally that it is not part of their policy that Palestine should become a Jewish State. (Command Paper 1922, from the Avalon Project at Yale Law School, 1996–2000), www.avalon.law.yale.edu/20th_century/brwh1039.asp. How unfortunate that the sympathy of Europeans and Americans for the plight of the Jews at the end of WWII, indeed of the community of nations that compose the United Nations when they offered them a home in Palestine through Resolution 181, should have been turned by deceit and propaganda into an apartheid state that has ruthlessly subjugated the indigenous population as they appropriated their land and imprisoned them behind concrete walls and electrified chain link fences making impossible a normal life. How unfortunate that Americans have devoted so much of their wealth to a nation that had no intention of complying with the British government in 1940 or the United Nations Partition Plan to provide for both peoples, but rather to claim that they were the victims of those who wanted to destroy them and drive them into the sea. How unfortunate for the indigenous people that they were driven into the sea as the armies in the tens of thousands of Jews swarmed down upon their villages and wiped them off the map. How unfortunate that United States Congressmen and women have become the pawns of a power that threatens their political will if they disobey the dictates of AIPAC regardless of the consequences to American soldiers and American security. Consider what might have been. What if the immigrant Jews had arrived in Palestine and the British created Jewish Agency had cooperated with the Mandate Police rather than clandestinely worked against it, to fashion a “Home” for the Jews living side by side with the Palestinians who owned all but 6% of the Mandate land governed by Britain. Consider how things might now be with a Jewish population unencumbered with the fanatical sects from Russia that drive the apartheid demands that corrode the very core of Judaism with their sick understanding of their historical right to a land because they are God’s chosen and goyim are subhuman. Consider the richness of that land in mind and soul had these people worked together to fashion a state that would be a doorway for the west to the east and not the source of vengeance and violence that it has become. What if rule by law had prevailed and not rule by defiance.